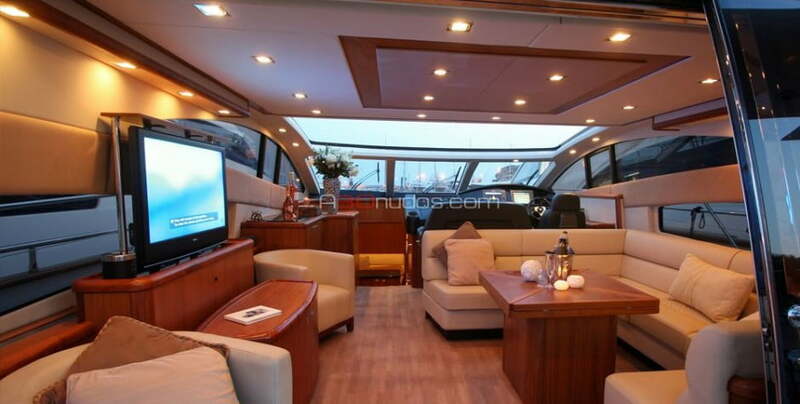 Sunseeker Predator 72 is a yacht of 22.25 m in length, and 5.40 m wide, where every square inch of the boat is made of authentic luxury and sophistication. 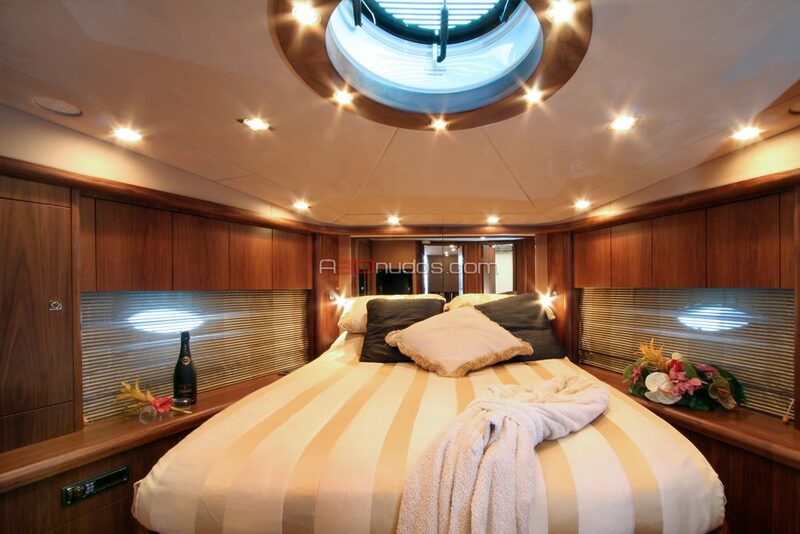 From the stern to the bow, from port to starboard, from top to bottom, no matter from where you are looking at it, is full up of practical details and of great quality. 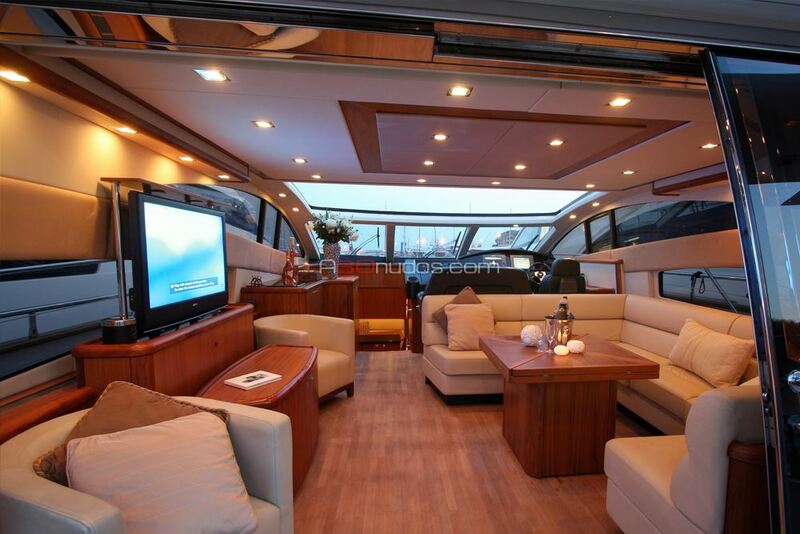 This yacht for rent in Ibiza has a large outdoor terrace on the stern of the main deck. 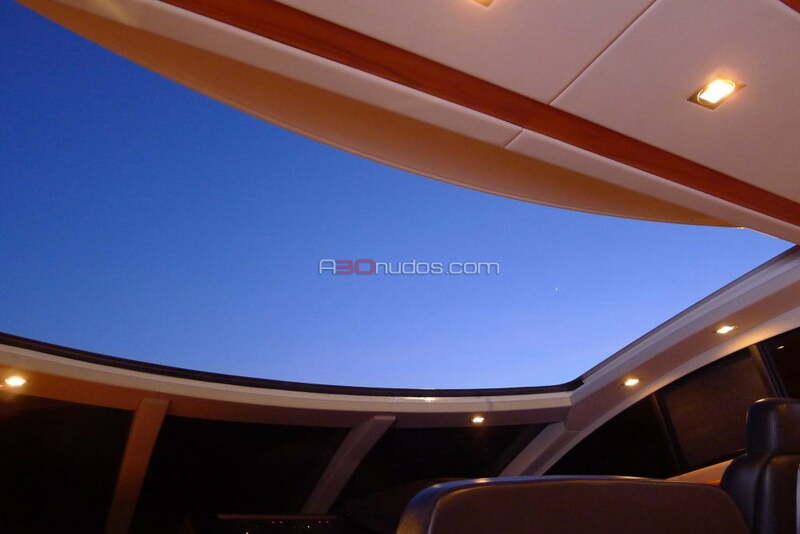 Here you can enjoy pleasant evenings in the light of the moon, or in the full light of day. 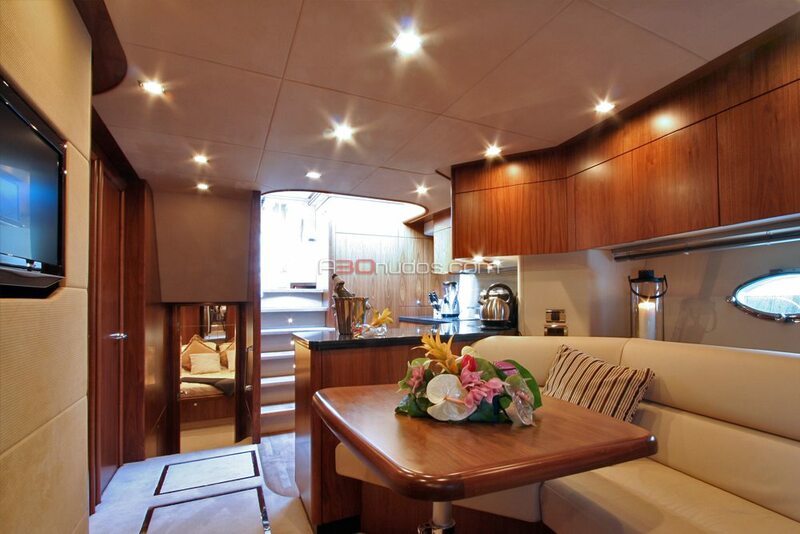 Our Sunseeker Predator 72 comes equipped with a handy fully adjustable folding sun awning with which you can be completely protected from the sun. 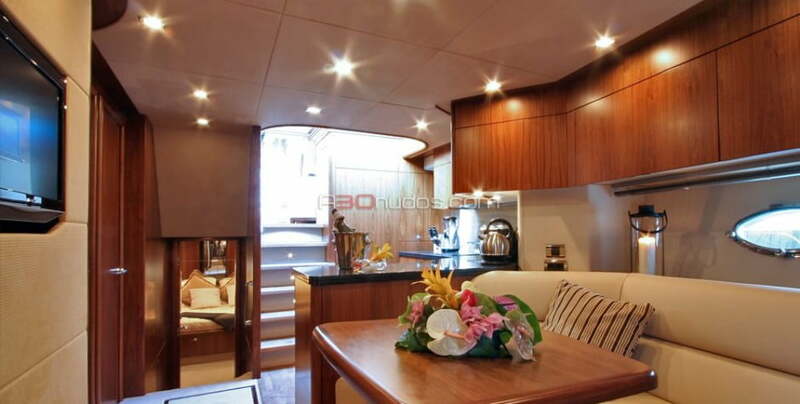 In addition, this terrace has a fully equipped dinette with mini-bar, electric cooker and sink; your snacks instantly and without having to travel long distances. Talking about “Long Distances” will not just be an overstatement, because its length over than 22 meters is not for less. 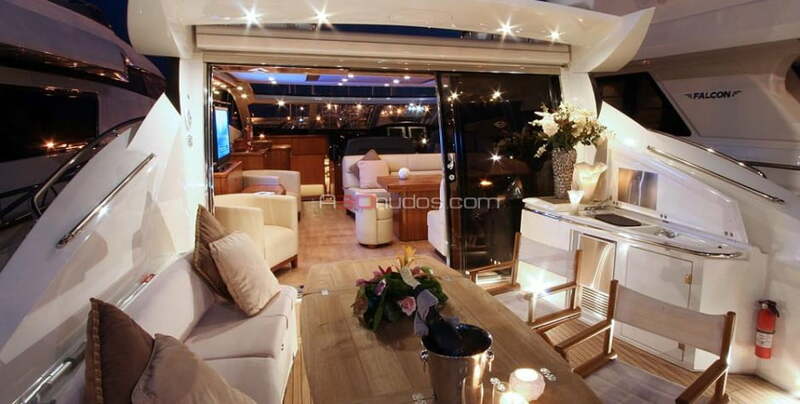 It has two insider halls, one of them located on the upper deck, and the other at the bottom, both with large sofas, furniture and equipment of first quality. The practice table of the main hall is adjustable in size using four simple steps. 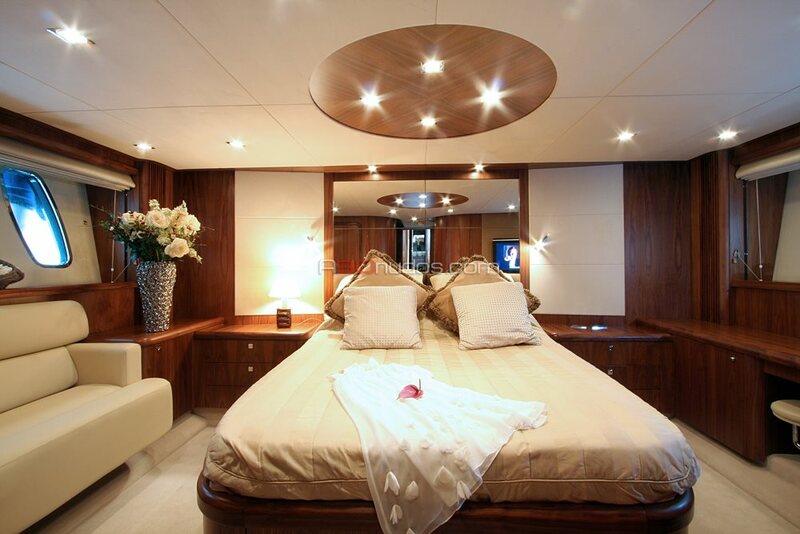 In this yacht the spaces are well used, such as for example the ingenious system that allows the tv being fully integrated and hidden in the main furniture, prepared to use whenever you want. 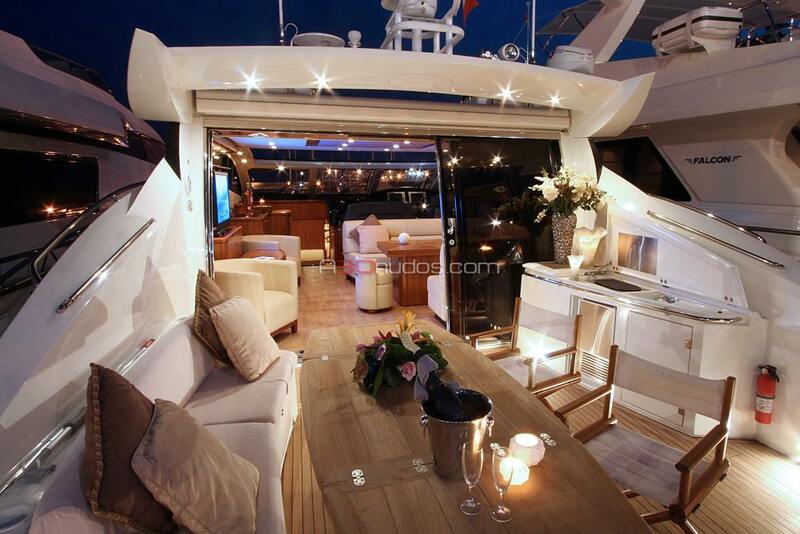 It has a fully equipped checkpoint with the latest technology, and its practicable sunroof provides a unique experience in sailing, you can easily feel the air from outside while sailing through the waters of Ibiza and Formentera. 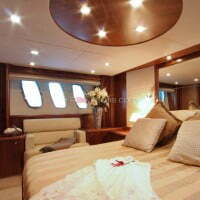 On the lower deck is where are situated the rest of the stays of the boat. There is a lounge with comfortable sofas, and a fully equipped kitchen with electric stove, fume extraction for refrigerators, microwave, kettle, sink and even a dishwasher fully integrated and consistent with the furniture. 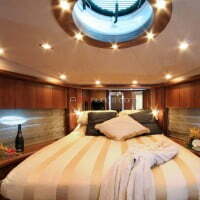 The Sunseeker Predator 72 is dispatched for 10 people by the day and 6 in overnight. 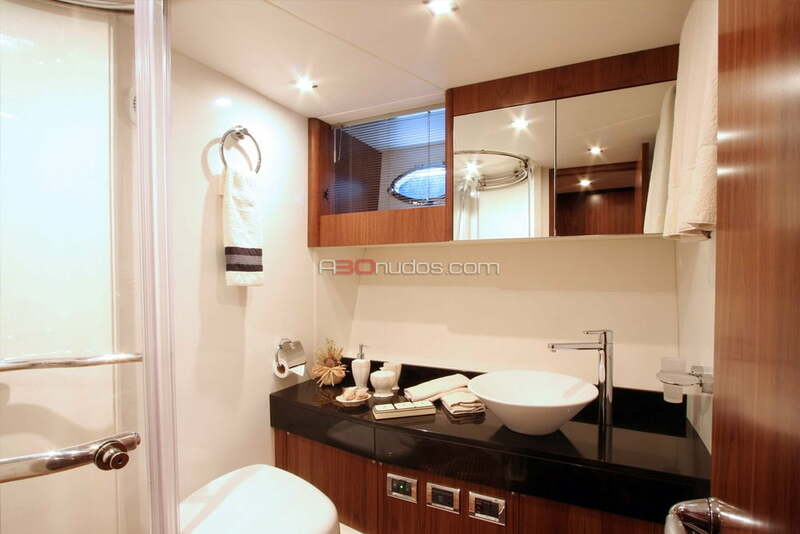 It has three double cabins (two suites and a double room) and they all have their own bathroom equipped with modern toilets and a shower of great quality. 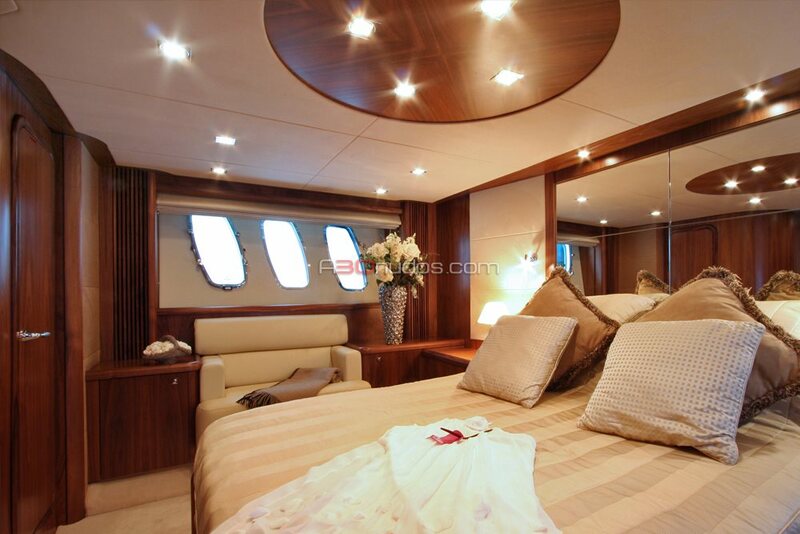 The spacious master bedroom is really welcoming, is manufactured with noble materials (like the rest of the boat), and has all kinds of amenities such as a television, a desk, a comfortable convertible sofa, and even a practical dressing room. 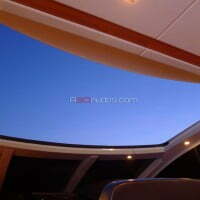 Sunseeker is the best choice to enjoy the little things in life. 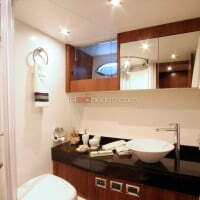 … a similar boat, although a little bigger would also interest me. 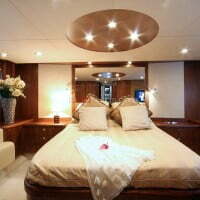 … with a smaller yacht I’ll feel more at ease. … I want a larger number of booths.